Winx will make her 1st public appearance since her QEII Stakes win when she runs in a barrier trial. Chris Waller admits he is like a proud father when it comes to Winx who he says is primed for another big campaign. The mare will make her first public appearance since her Queen Elizabeth Stakes triumph in April when she runs in a barrier trial at Rosehill on Monday. The Queen Elizabeth was Winx’s 25th-straight win and 18th at Group One level, a record unparalleled anywhere in the world. As usual, her trainer is not expecting her to win the 900m-trial but he is happy with her condition and just wants to see her have good and safe gallop. “There is no difference to me in how she looks and seems mentally,” Waller said. “I’m her Dad. It’s hard to find things to say about her. “Her body language has never been better. Winx is scheduled to begin racing again on August 18 in the race she has won for the past two years. 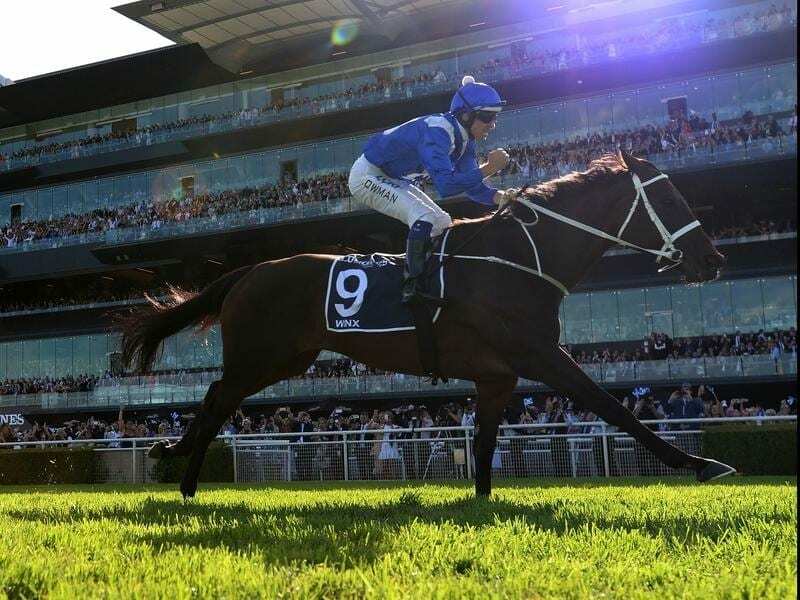 The race is not quite the same this year with the Group Two Warwick Stakes (1400m) at Randwick upgraded to Group One status and renamed the Winx Stakes in honour of the champion. While Waller’s eyes will be on Winx, the Hawkes Racing team will focus their attention on Chautauqua who must jump out of the barrier to be reinstated to race again. Formerly the world’s highest rated sprinter, Chautauqua missed the autumn and the chance for a fourth TJ Smith Stakes win when he refused to leave the gates four times in trials. Chautauqua passed the first of two enforced tests in a jump-out at Flemington last Friday week and needs another satisfactory performance to ensure he can start in the Group Two Missile Stakes on August 4 with one of his goals The Everest on October 13. His part-owner, Greg Ingham of GPI Racing, holds a slot in the $13 million race in which Chautauqua finished fourth last year. Other Group One stars Ace High, Unforgotten, Kementari, She Will Reign and Takedown are scheduled to run in the trial.